2010: The year of 3D television? – ¿¡ tjongolongo ?! In 2010 the first 3D television channel will become a reality for those living in the U.S. Satellite cable company DirecTV has a new satellite that will be able to broadcast the first HDTV channel in 3D. The channel is set to launch in March and will be available for existing DirecTV set-top box owners. Tjongolongo, how cool will that be you can watch 3D television. I can remember the very first 3D film I ever saw, it was Captain EO with Michael Jackson. I saw it whilst on holiday in the U.S. and visiting Disney World in Florida. I will never forget that, I remember taking off my 3D glasses at the scary bits! If 3D television becomes mainstream, it’ll probably mean a new way of creating television shows and films. Who knows what we’ll be used to in 50 years time! 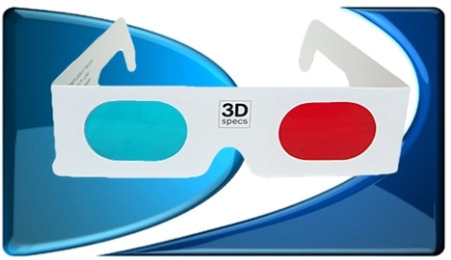 What was your first 3D experience?